. 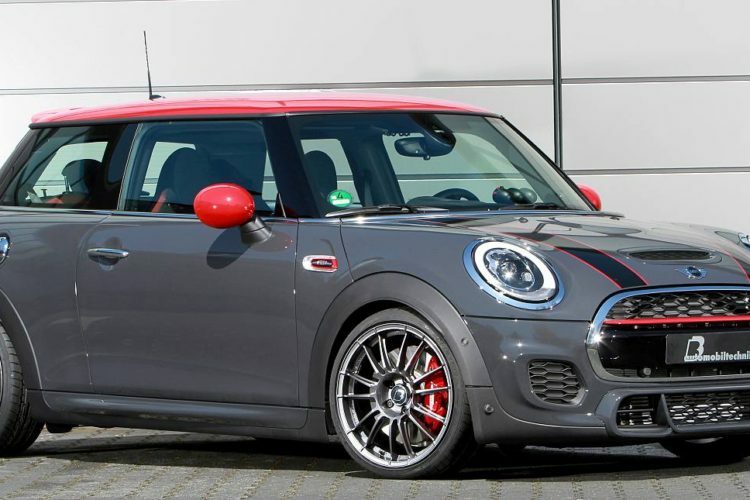 . . the tuner claims that the MINI JCW will be able to reach 100 km/h (62 mph) from standstill in 5.4 seconds, shaving nearly a full second off the official time claimed by the guys in Oxford. Furthermore, the top speed limited will be removed, this way allowing you to reach a new top speed of 174 mph (280 km/h). That being said, you’ll also have to pay 3,950 Euros for it or $4,400.